Mr. and Mrs. P.A. 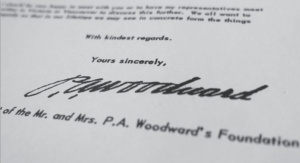 Woodward intended the Foundation’s income be spent primarily for the betterment of mankind. They preferred contributions that assist with proven and advanced techniques, rather than fundamental research projects or administration. In accordance with the Founders’ directions, the Board concentrates on projects in the health field where there is clear indication of health benefits for the people of British Columbia. The Foundation provides grants to help purchase medical equipment of proven performance and prefers clinical activities that impact patients directly. Health care equipment of proven effectiveness which directly benefits the patient. Equipment for special projects that drive clinical change benefitting the health of British Columbians.